A judge will increase the amount of a defendant’s bail bond if he is accused of a serious crime, or is accused of more than one felony count. He may also increase the amount of bail if the defendant has a lengthy record of prior criminal charges. A bail bondsman near Maryland can post a bail bond or surety bond with the court to assure the court of the defendant’s appearance at future hearings. 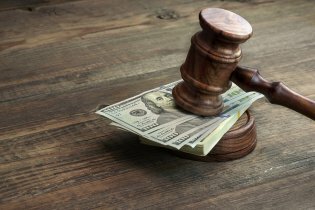 Watch this video to learn about the many factors that affect the cost of a defendant’s bail bond. The defendant’s attorney can present evidence to the court that the defendant is not a flight risk by proving that he has ties to the community and steady employment. If you have been accused of a crime, one of the first steps that the court will take will be to schedule a bail hearing. During the bail hearing, the terms of your bail will be set. In order to produce bail and return to freedom, you may want to contact a company offering bail bonds serving Maryland . A bail bondsman can provide you with the financial assistance you need to stay out of jail. By working with a highly rated bail bond agent that works for a bail bond company in your area, you can also rest assured that your bail bond has been provided to you at a good rate. 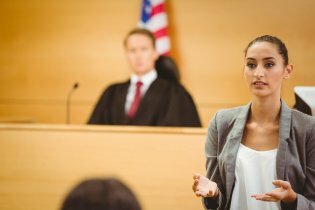 To help you prepare for your upcoming legal proceedings, here is a look at what happens at a bail hearing. The amount of bail that is required for you to be released from jail is typically predetermined by the nature of your crime. However, you may be able to make a case for power bail. For example, the judge will look at certain risk factors when setting your bail. If you can make a case that you are a low risk person, you may have lower bail. During your bail bond hearing, the judge will be presented with facts about your criminal case. This information will help the judge decide how to set your bail. It is important to remember, however, that the bail bond hearing does not determine your guild or innocence. To ensure that your bail bond hearing is conducted fairly, you may want to consult with a lawyer. Your lawyer will be able to review the facts of your case and make a strong argument about setting a lower bail. Once your bail has been set, your next step will to contact a bail bond company to help you post bail and await your upcoming trial. In the event that you are accused of a crime, it is important to be familiar with your bail options . Once your bail has been set, you will want to find the collateral or cash needed to post bail and leave jail as quickly as possible. Typically, there are three main options for posting bail. First, you can choose to pay your bail amount in cash. Since bail amounts can be very high, you may want to consider contacting a company offering bail bonds Baltimore near Maryland. With the help of a bails bondsman, you will be able to meet the bail amount, without having to pay in cash. Instead, your bonding company will work with the courts to provide surety against your bail. With surety, your bail bond company will agree to pay the amount in full in the event that you do not show up to your hearing. For very serious crimes that have high bails, putting up a property bond is also an option. If a member of your family has been taken into police custody, you may receive a call stating that the arrest has been take place. To ensure that your friend or loved one does not have to wait in jail, you should be sure to post bail as soon as possible. In order to get bail bonds in Maryland, it is a great idea to contact a company offering bail bonds serving Baltimore. With the assistance of a bail bondsman , you will only be responsible for a portion of the bail amount. Typically, bail bonds are set according to the type of crime that has been committed. To learn more about the steps of posting bail, be sure to check out this video from eHow.